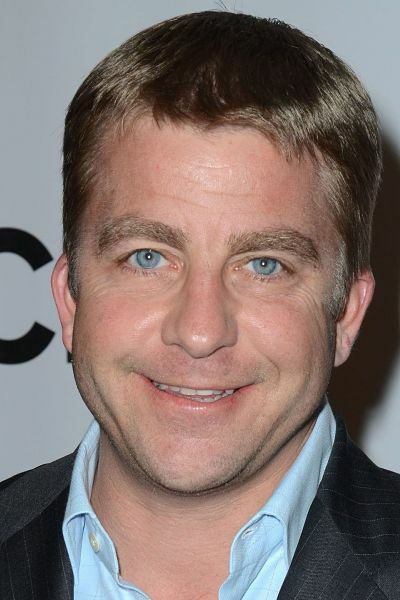 Peter Billingsley also is known as Peter Michaelsen and Peter Billingsley-Michaelsen, is an American actor, director, and producer best known for his role as Ralphie in the 1983 movie A Christmas Story. He began his career as an infant, in television commercials. Description above from the Wikipedia article Peter Billingsley licensed under CC-BY-SA, full list of contributors on Wikipedia. Vince Vaughn headlines a talented and hilarious ensemble cast in this relationship comedy about four couples who go to a tropical island and get sucked into the resort's couples therapy. While at first reluctant to the new age psychology they're being handed, eventually some of the couples realize that their relationships are far from flawless. Written by Jon Favreau who also co-stars along with Kristen Bell, Jason Bateman, Malin Akerman, Kristin Davis, and Jean Reno. Superstars Jennifer Aniston and Vince Vaughn star in this smash-hit romantic comedy about the dissolution of one Chicago couple's live-in romance. Aniston is an art dealer who is pushed to the breaking-up point with her bullish sweet-talking boyfriend (Vaughn) and calls it quits. When neither ex is willing to move out of the condo they used to share, the only solution is to continue living as hostile roommates until somebody caves. Bittersweet and original, The Break-Up toys with conventions of the genre to produce a remarkably affecting and honest depiction love with all the details. Also starring Jon Favreau, Joey Lauren Adams, Jason Bateman and Judy Davis. One Christmas Eve a long time ago, a baby crawled into Santa's bag of toys ... Raised as an elf, Buddy grows into an adult three times larger than the biggest elf and realizes that he will never truly fit in at the North Pole. This holiday season, Buddy goes looking for his true place in the world - in New York City. Buddy finds his workaholic father, who's on Santa's "naughty" list, a new mother and a 10-year-old brother who doesn't believe in Santa Claus or elves. Here, now, Buddy discovers his destiny - to save Christmas for New York and the world! Alex Manning and her friends decide to visit the local video arcade known as \Dante's Inferno\ where a new virtual reality arcade game called \Arcade\ is being test marketed by a computer company CEO. However, it soon becomes clear that the teenagers who lose are being imprisoned inside the virtual reality world by the central villain \Arcade\ and takes over their minds. It's the final days before Christmas in early 1940s Cleveland, and 9-year-old Ralphie wants one thing from Santa Claus more than anything else: a Red Ryder Carbine Action Air Rifle. As he trudges through the snow to school, faces the neighborhood bully and visits a malevolent department store Santa Claus, Ralphie connives, conspires and campaigns for the most fabulous Christmas present ever in this heartwarming, hysterical and sweetly nostalgic holiday film.